REPUBLICANS used to make me think of the circus. Whether it was their pachyderm mascot, the one-ring travesty they’d made of the House, or the presidential clown car they rolled out so dutifully every four years, who can say? But there was something about the GOP that brought the echoes of laughing calliopes and screaming children to mind, filled my nostrils (metaphorically at least) with the smells of Crisco-basted corndogs and fresh animal leavings. Not so these days. Part sun god, part Christ figure, Superman was born of America’s Great Depression, the imaginative progeny of a couple of high school kids in Ohio. Not quite immortal, not quite human, the Man of Steel is modern America—coexistent with, and (we dream) symbolic of, our eighty years as a superpower. A strapping figure of goodness, justice, and restrained masculinity, Superman always does what’s right. And he cuts a dashing figure doing it. Even when he’s masquerading as his wimpy alter ego, Clark Kent, it’s often hard for those of us in the audience to believe anyone wouldn’t see him as Superman. Impressive as Superman is, he’d be boring without opposition. Fortunately, he’s got plenty of it—Lex Luthor, General Zod, Brainiac, and hundreds of others. But there’s one supervillain, one enemy, who resonates more than any other. His name is Bizarro, and part of what makes him so compelling is that he doesn’t realize he’s a villain at all. 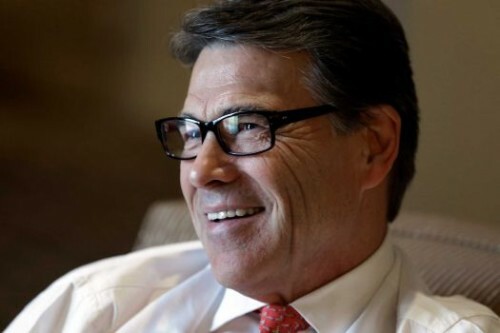 When Rick Perry started wearing Clark Kent glasses a few months ago his handlers tried to tell us he needed them for reading. What reading, I wondered? Proust? Churchill? Go, Dog, Go!? The handlers were mum. And with such limited information, I wasn’t sold. Political pundits, on the other hand, told us Perry’s glasses were a prop, a tool to make everyone forget his disastrous 2012 presidential campaign and pave the way for another, more successful bid. See Rick kiss babies in Iowa, they said. See him shake hands in New Hampshire and shoot guns in South Carolina. See Rick, they said, see Rick run! This made more sense, but I couldn’t buy that story entirely either. Even before Perry’s indictments came down, I had a hunch there was something more at work here. I mean, if there’s one thing I’ve learned watching the Religious Right in America—and let’s be clear, Perry is a card-carrying member—it’s that they believe deeply in symbolism, sometimes to the rejection of fact. The other thing I’ve learned watching the righties is that they don’t exactly see themselves clearly. For example, even though they talk about Jesus a lot, the guy they’re talking about doesn’t seem to have that much in common with the one from the Bible. Biblical Jesus was into poverty (the camel, the eye of the needle). He was into turning the other cheek, the meek inheriting the earth, rendering unto Caesar, and loving thy neighbor. Republican Jesus, on the other hand, seems to have an entirely different agenda: “Greed is good,” “Stand your ground,” “Onward Christian Soldiers,” “taxes are immoral,” and “secure the border.” If you think about it, Republican Jesus sounds a lot more like a Bizarro Jesus than that weak-kneed do-gooder from Nazareth. Then I wonder if Perry’s going to be willing to stop there. And I know the answer to that question. We all do. When was the last time you met a politician, even a Bizarro politician, who was willing to stop anywhere for anything? Ferguson, Congress, Gaza, Impeachment, ISIS, Ebola, Ukraine, France, and on and on and on…It’s not that hard to imagine the rest of us have lost our minds, that Perry and the Republicans are actually the only sane ones. That wouldn’t make me happy, not in the least. But maybe we should consider it. Maybe it’s the only thing that makes sense. 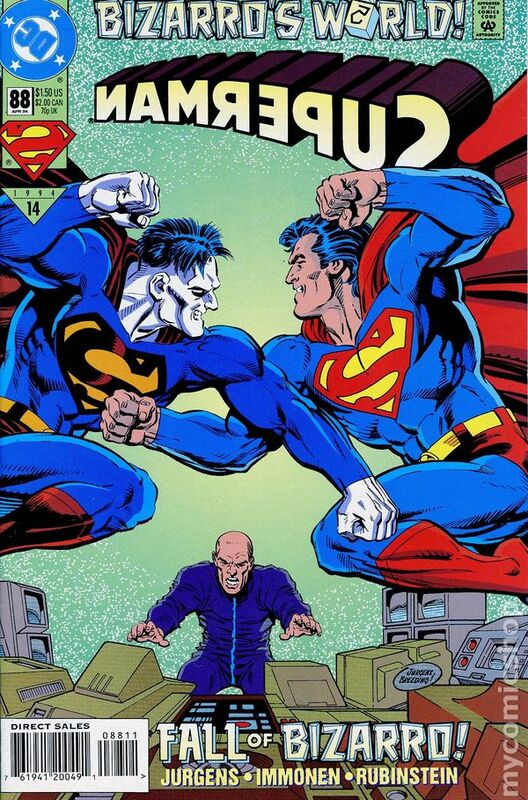 Maybe the America we’re hoping for—the one of truth, justice, and freedom—maybe that’s actually Bizarro America. Maybe the America we’re hoping for never really existed, or maybe it exists in another dimension, on a square planet light years from here. Maybe that’s where Jesus lives too, in the air above that square planet’s America. Maybe that’s where he hangs out, running the show, being all about non-violence and poverty and whatnot. Trouble is there’s no way to get there. We don’t have the technology, and this isn’t a comic book. This is reality, and in the real world we can’t create science out of hopes and dreams and imagination. Here, we’re stuck, mired in a physical world in which a corrupt governor who can barely enunciate policy positions—who believes in things like secession, salvation, and dominionism as the building blocks of a modern democracy—can aspire to the highest office in the land, where a guy like that can scoff at a hundred years in prison even as innocent black men are shot dead in the Southern streets. And in that moment, Republicans will know all is right with their world.